Figured I put this space, but sometimes I think, what's the use, you're still scrolling down anyways lol. 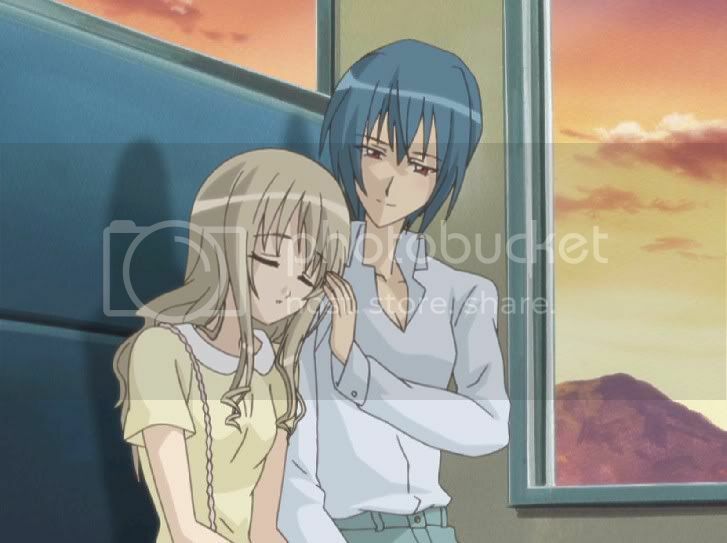 Thanks to Ran, I practically ran to my lappy when I came home and went to the Japanese Strawberry Panic! Offical Blog site. The 3 screenshots below are taken from Mori's Ichigo Gari =O. Amane and Hikari goes out on a date while jealous and angsty Yaya stays home and wait. The relationship between Amane and Hikari grew deeper. Hikari goes back, overjoyed and began blabbling about her date with Amane. Jealous Yaya couldn't stand it no more and kissed Hikari. - END - Ok, let's see how accurate my assumption is lol. After Yaya kissed Hikari in Ep13, it brings us to the little estranged situation between Hikari and Yaya in Ep14, 'More Than Best Friends', OHHH CAN'T WAIT!!! XD. Will Yaya finally pour all her feelings out in Ep14? How will Hikari reply? If you can read Japanese, here's a brief summary of Ep14 taken from here. Anyways, while surfing around for Strawberry Panic! stuff, I chanced upon a Strawberry Panic! Character quiz, curious, I took it ... guess who I turn out to be?! LoL. Which Strawberry Panic! Character Are You Most Like? You are Otori Amane! You race horses for St. Spica, as part of the Equestrian club. You are the Prince of the schools. Basically, you would make a better boy than girl, but who am I to judge? You are really suave with the ladies but you seem to have developed an attachment to Hikari-chan. She gave you a scarf, the only present you have accepted from one of your fans! You attend St. Spica. this is totally the episode to watch for a St Spica fans!!! Finally Yaya make a move but a rather too fast... sealing Hikari lips forcefully... !!! this isn't good at all !!! But i'm sure after this incident yaya and hikari won't be living in the same room anymore. Wow i cant beleive yayachan made her move!! Yeah i hope they dont lose there freindship! I wonder if amane will find out or maybe hikari will say somthing. AH! i have a feeling that this isnt going to go well with yaya and hikari. Before Hikari comes back Yaya was practicing on how to give the button back to Hikari when she comes back in front of the window. 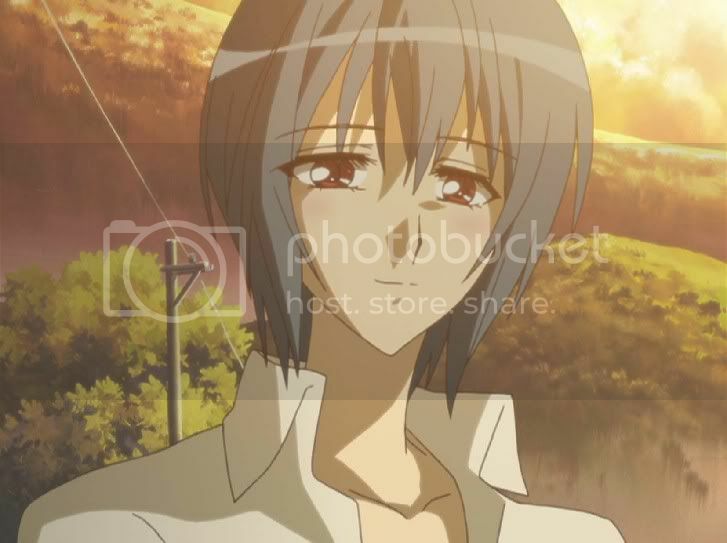 - Because of the things Kaname said to her after she rescued Hikari? - Because of Yaya's silly wonderings of letting Hikari go out with Amane is a good thing when she is left alone in the room? Yep, it's 'More Than Best Friends', next ep would be more about Hikari and Yaya ... probably won't be any kissing scenes ... but who knows ... this is crazy. Haha.